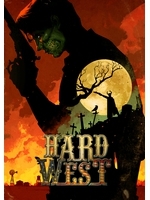 The weird-west tactical game Hard West gets expansion, available today for $2.99. 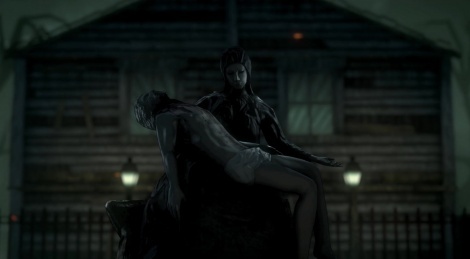 Scars of Freedom brings you into gothic horror for an original tale of revenge happening through 7 new missions and featuring 10 playable characters and a new method of character customization. Details, trailer and screens after the jump. March 3, 2016 - An escaped slave-turned-vigilante, Libertee falls prey to the experimentations of a mad surgeon. Her body twisted, but enhanced with supernatural abilities, she sets off in pursuit of the doctor only to find herself torn between vengeance and the threat of a much more powerful enemy. Available today for Hard West, Scars of Freedom is a downloadable scenario merging gothic horror and the wild west in an original tale of revenge, offering seven missions of deadly tactical combat, 10 playable characters, and a morbid new method of character customization. Players can once again customize their gunfighters, though Scars of Freedom offers a more…literal take on character-building by swapping out body parts to enhance Libertee's abilities. Transplant a gambler’s liver to bring bad luck to those around you or a vampire’s brain to grant the ability to regenerate in the shadows, and transform Libertee into a walking force of destruction. Scars of Freedom is a downloadable scenario for Hard West on PC (Win/Mac/Linux) and is available today for $2.99, and free to all Kickstarter backers. • A new tale in the Hard West universe, featuring a unique mix of classic western and gothic horror. • A deeper, longer story, narrated through its numerous twists and turns by protagonists, Libertee and Dr. Gorman. • 7 new tactical combat encounters and a world map with new, unique mechanics. • New Unique Surgical Bodily Augmentation System: A revamped character development system based on the collecting and crafting of powerful body parts onto oneself, which allows for strategic planning and more informed choices. • Rebalanced combat and character progression, offering a tighter, more challenging gameplay experience. • Fitzpatrick Revolver - a new, powerful gun in your arsenal. • 10 new playable characters.